The Artists' Collecting Society is proud to announce the inaugural ACS Studio Prize. 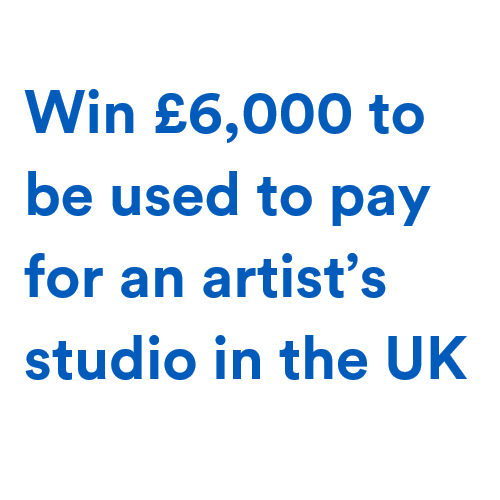 This year ACS is offering an artist the chance to win £6,000 to contribute to the cost of an artist’s studio in the UK. The Studio Prize was established after a number of our members spoke of the economic challenges they faced when starting their artistic careers. ACS realises how difficult it is to focus on your art especially after leaving university. The ACS Studio Prize 2017 was founded to help. If you are an undergraduate or postgraduate university student on an accredited Fine Art course who is about to graduate, or if you have graduated from a university accredited Fine Art course within the last four years, and you work in pictures, collage, painting, sculpture, tapestry, ceramics, glassware or photography, then you are eligible to apply for the prize. You can enter the Artists’ Collecting Society Studio Prize 2017 by visiting www.acsstudioprize.com. To ensure that you are considered for the prize, please complete your submission by 30 June 2017. For more information about ACS and what we do, please visit the ACS website or get in touch with one of the ACS team. ACS was formed in 2006 as a not-for-profit Community Interest Company to administer Artist’s Resale Right and copyright on behalf of our members. Since 2006 our membership has grown to over 1,000 artists and artists’ estates. Our members range from well-known artists such as Frank Auerbach, Paula Rego and Martin Creed, to estates of artists such as Lucian Freud and Barbara Hepworth. We are also proud to represent artists whose work has only recently started to sell regularly on the UK secondary market such as Bambi, Leonor Antunes and Pablo Bronstein. As a Community Interest Company ACS operates solely for the benefit of our member artists. This means that any surplus income is locked into the company and used for the benefit of our member artists and the artistic community. ACS is proud to fund bursaries for art students at leading institutions, whilst sponsoring a number of art prizes and charities. The Artists’ Collecting Society Studio Prize 2017 is just one such example.